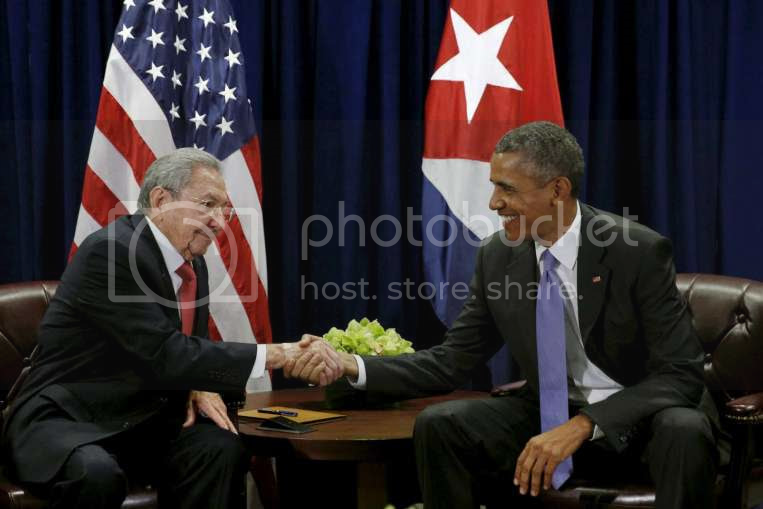 End the Cuban blockade now - Soviet-Empire.com U.S.S.R.
President Obama was in Cuba on a historical mission of goodwill. Obama has called for the elimination of the five decade old economic blockade of the island and has taken some key steps to accomplish this. There are some more steps he can take, and we must ask him to do so. But to completely eliminate the blockade will require congressional action. The blockade is locked into place, especially, by the 1992 Toricelli Act and the 1996 Helms Burton Act. To remove these acts will require the passage of legislation in the Senate and the House of Representatives. Though the Republican majorities in both houses of Congress are a daunting obstacle to overcome, it is not an insuperable one. Besides ordinary U.S. citizens motivated by a desire to see justice done to the Cuban people, there are business interests which are anxious to develop commercial relationships with Cuba, relationships now impeded by the Blockade. This mixture of interests is able to influence Republican as well as Democratic members of Congress to follow Obama’s bold step with legislative action of their own. IFCO/Pastors for Peace is a highly respected faith based organization which has organized solidarity actions with the people of Cuba for more than twenty years, including annual “Friendshipments” which defy the blockade by bringing needed supplies to ordinary Cuban people. Now IFCO/Pastors for Peace is requesting from all of us that we take advantage of the moment created by Obama’s Cuba visit to contact our elected representatives, including the White House and members of Senate and House, to promote support for some specific bills in Congress, which will eliminate the blockade and also the onerous restrictions on U.S. citizens’ right to travel to Cuba. In the House, these areR 3238, the Cuba Trade of 2015 and HR 664, the Freedom to Travel to Cuba Act of 2015. In the Senate, the bills to focus on are S 1543, the Cuba Trade Act of 2015, and S 299, the Freedom to Travel to Cuba Act of 2015. All four bills have both Republican and Democratic cosponsors and are deemed to have an excellent chance of passing. But they need to get many more supporters in Congress, which means we have to work hard to lobby in their support. Phone calls, emails, faxes and visits to your representatives’ district or D.C. offices are all useful, but it is important that we act now while the minds of our leaders are focused on the Cuba issue.